What is the Conservation Boot Camp? 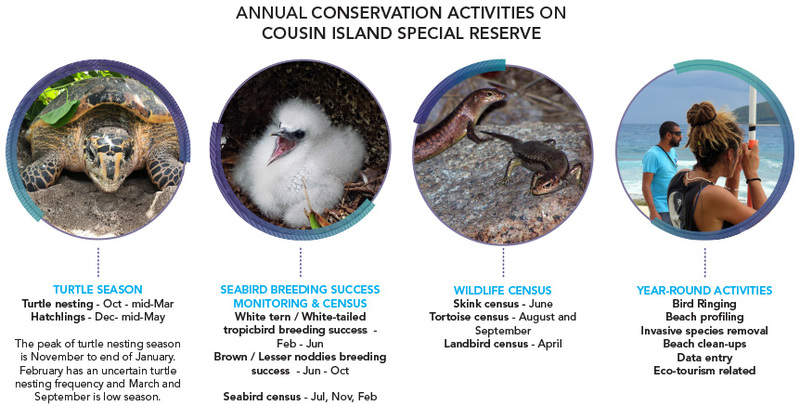 Based on Cousin Island Special Reserve, this innovative program provides you with an enviable in-the-field conservation experience. 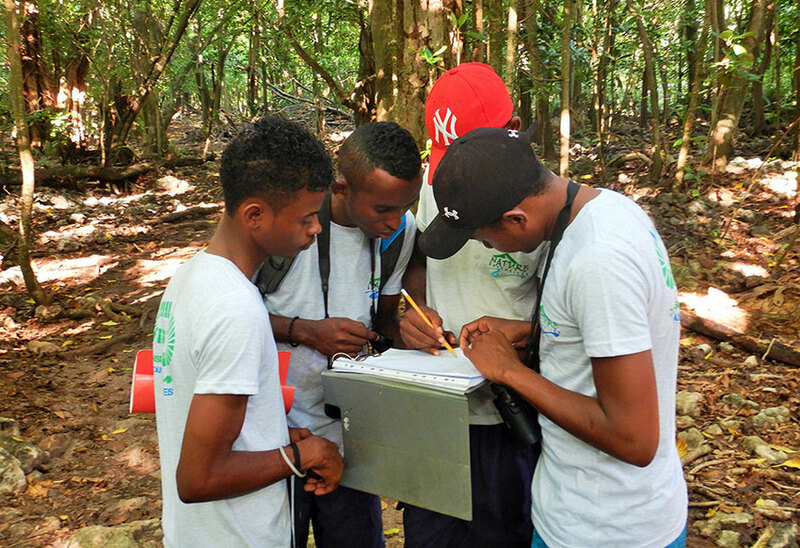 Participants help in monitoring of biodiversity and ecotourism. You will get immersed in Cousin Island’s conservation work in quite a spectacular way. This place is unique and this is where the conservation boot camp happens! You will learn hands-on about conservation by contributing to the island's conservation activities. You and your team of 5 to 6 other conservation boot campers will also help to make Cousin Field Centre (where you will be staying) and the island run at its best. You will gain real-life skills of working in the environment in intense and sometimes not-so-easy conditions - boat pushes, monitoring, and censuses of wildlife, come heavy rain, intense heat or high humidity levels - sometimes accompanied by mosquitoes in the forest depending on the season (the mosquitoes here are only annoying but do not carry any diseases). You might have interaction with some endemic intruders in your building, this is cohabitation with the wildlife. You will know Cousin like the back of your hand in no time by walking through virtually every inch of the island during turtle nesting season, while conducting landbird and seabird monitoring, other wildlife censuses, beach profiling and cleaning, and invasives removal among other activities. 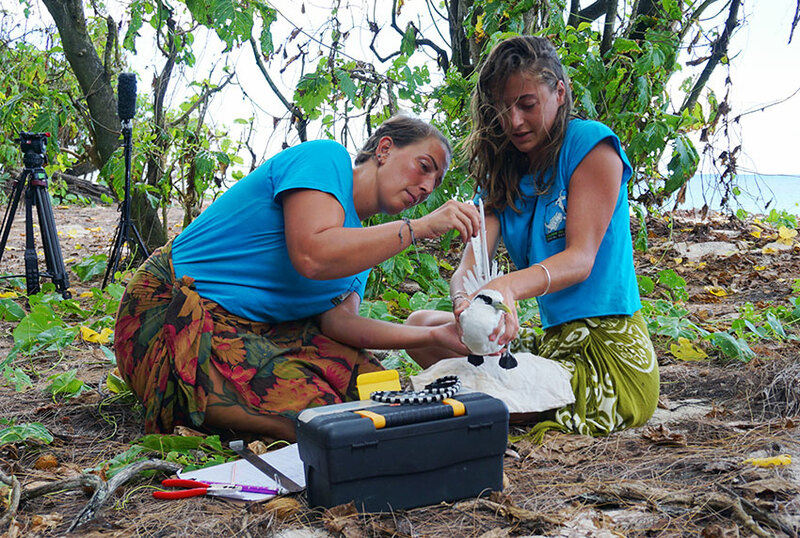 Tagging and ringing the wildlife will bring you closer to the island inhabitants. You will also take care of your place of living through different scheduled tasks. Aside from these tasks you will have the opportunity to interact with the local wardens and learn a little about Creole culture. The down time on Cousin is like no other place - pristine beaches to enjoy, unforgettable sunsets, the starriest nights unpolluted by artificial lights and other activities organised by the program coordinator. 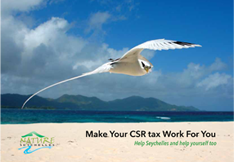 A much-coveted opportunity to work in a world class dream destination, you will get to work in one of Seychelles' paradise Islands. Cost: 1000 euros for a 4 week period. Please note that your booking is only confirmed once payment has been made. 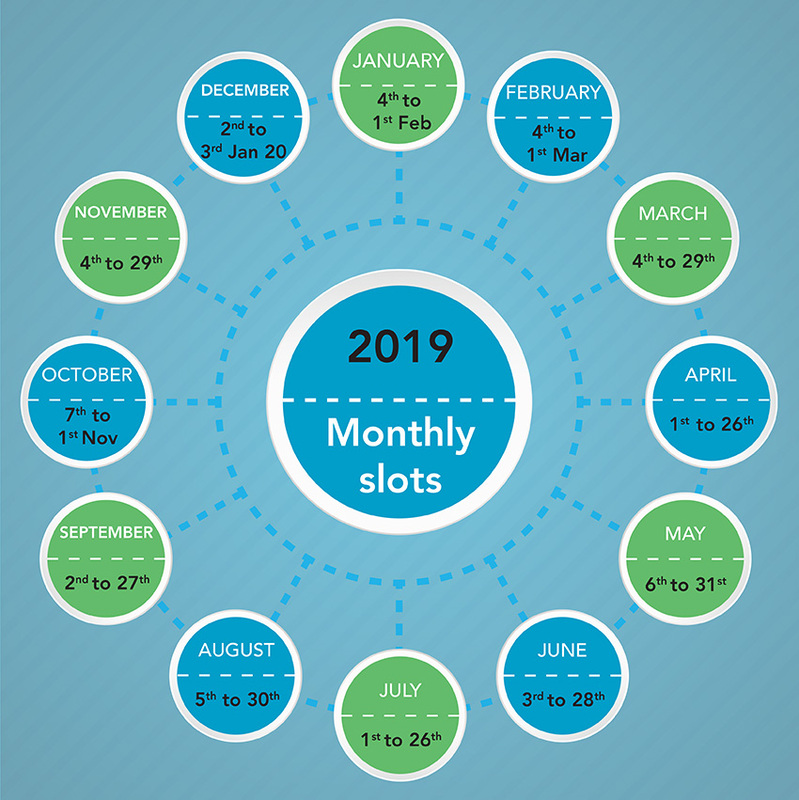 Once payment is made it is 50% refundable for cancellation before the 3 weeks preceding arrival and 0% refundable for cancellation beyond the 3 weeks preceding arrival.